Mithu Sen's Lunch is Cancelled at the Shalini Passi Art Foundation's Lunch. 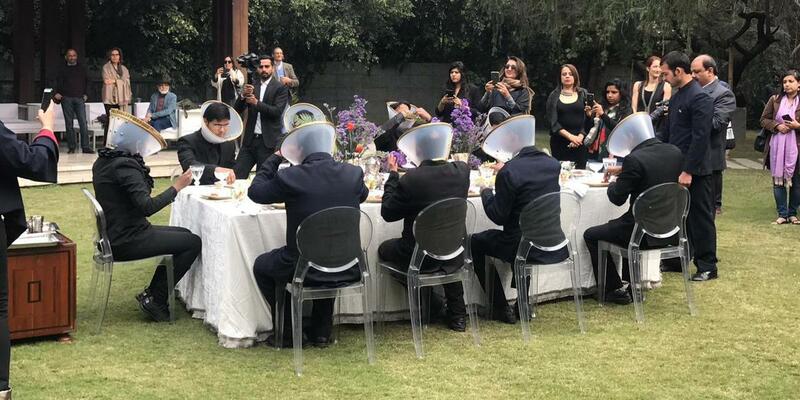 Thus began IAF 2019, flushed with irony. “He’s being sued for this, actually,” I heard someone proclaim loudly at the opening preview of the fair, pointing at Ai Weiwei’s Porcelain Vase (Journey), 2017, at neugerriemschneider’s booth. “By an Iranian artist for copying his design . 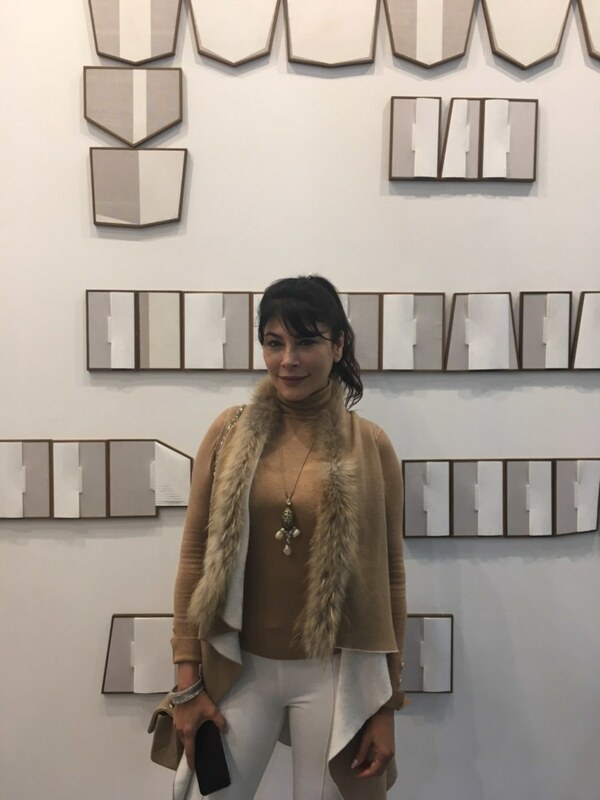 . . or maybe for cultural appropriation?” While I can’t corroborate this story, I did enjoy it, partaking in one of the few joys one finds at an art fair: the cheap thrills. 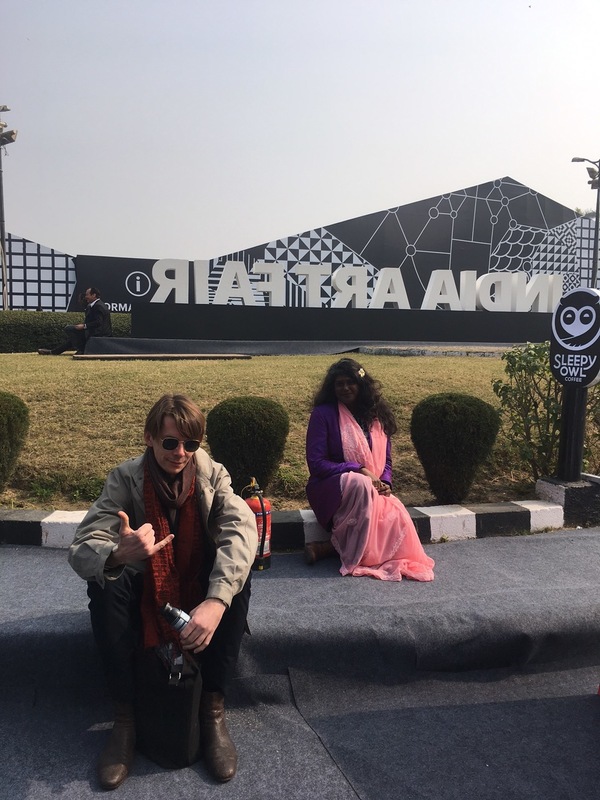 Curator Adam Szymczyk and critic Rosalyn D'Mello. “What I am most impressed by is how this fair does not feel like an imported model from the West—it’s refreshing somehow, quite different,” said curator Adam Szymczyk over a charcoal lemonade on the third day of the fair. Director Jagdip Jagpal and her smart, young staff led a fair that seemed to be more like a festival, with a dense packet of programming, collateral events, performances, and talks. 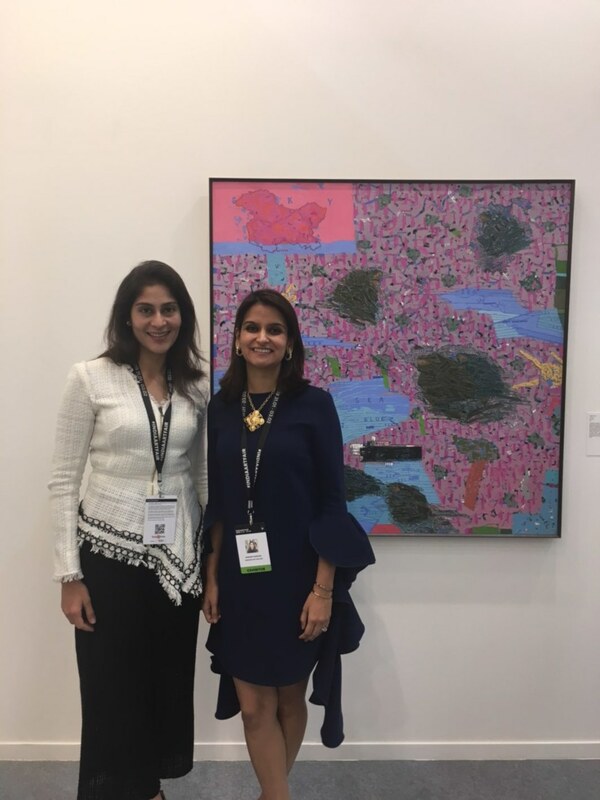 Despite the MCH Group’s financial pull out from IAF (the Art Basel parent company had bought 65 percent of the fair in 2016), this edition was sharper than years previous. This was certainly true of the GALLERYSKE and Photoink booths, joined together by a stylish seating lounge, where artworks were hung as though in a home. A gesso panel by Bangalore-based artist Prabhavathi Meppayil was a delightfully serendipitous offering. The fair was full of quiet and unassuming works: A pair of sepia-toned gelatin photographs of sharp-jawed young men by Sri Lankan critic and photographer Lionel Wendt, at the Jhaveri Contemporary booth, were a personal highlight—as were seven small watercolor paintings by Pakistani artist Bani Abidi at Experimenter’s booth, each a portrait of a person caught in an animated laugh, darkly titled And They Died Laughing, 2016. 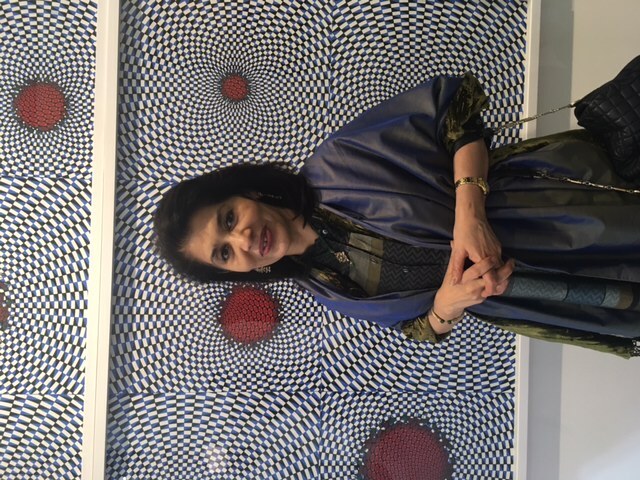 In the sparsely hung Project 88 booth (which returned to the fair after a six-year hiatus), two large prints by artist Prajakta Potnis were hauntingly dystopian: mushroom clouds glowing inside a refrigerator. Amol K Patil’s performance Take the City. In the projects section, works stood out for their brazen critique of the state and its violence, such as Sohrab Hura’s The Lost Head & the Bird, 2016–, a film that splices together the artist’s photography with found WhatsApp propaganda footage popular among the far right. “Yes, there are some things that might get me into trouble, but let’s just see what happens,” Jagpal said during her opening speech. “I know, I know. I don’t want to go to prison either,” she added. 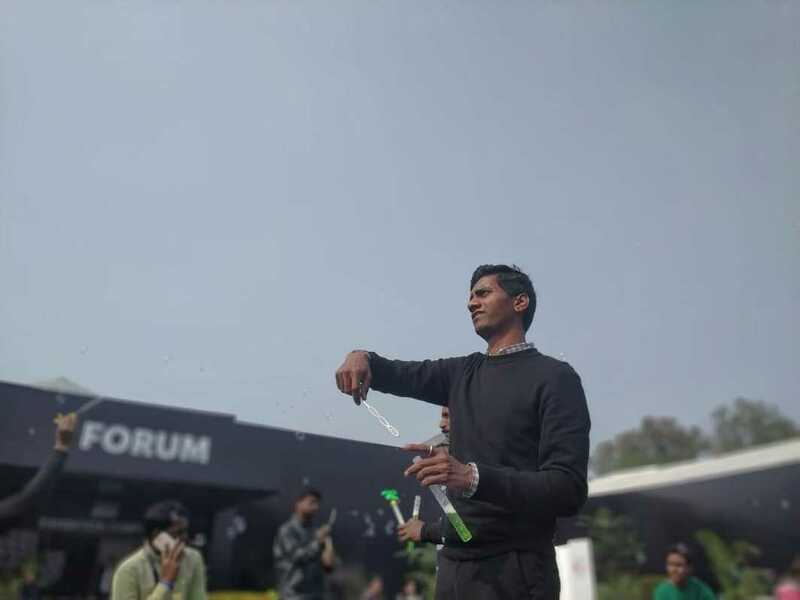 The fair also absorbed its own critique: Artist Sajan Mani walked the venue’s expanse on all fours, dressed as a cow-human hybrid tied to a long yellow noose, as a comment on how most art spaces in the country are sanitized of any political commentary, while artist Amol K. Patil filled the venue with gently buoyant water bubbles and invited young backstage staff from the local Delhi theater circuit to walk alongside him. Patil’s performance, which in previous iterations has included street sweepers from Dalit communities, was soft and whimsical. “People just enjoy the bubbles without actually paying attention to who is blowing them,” he said, eyes twinkling. 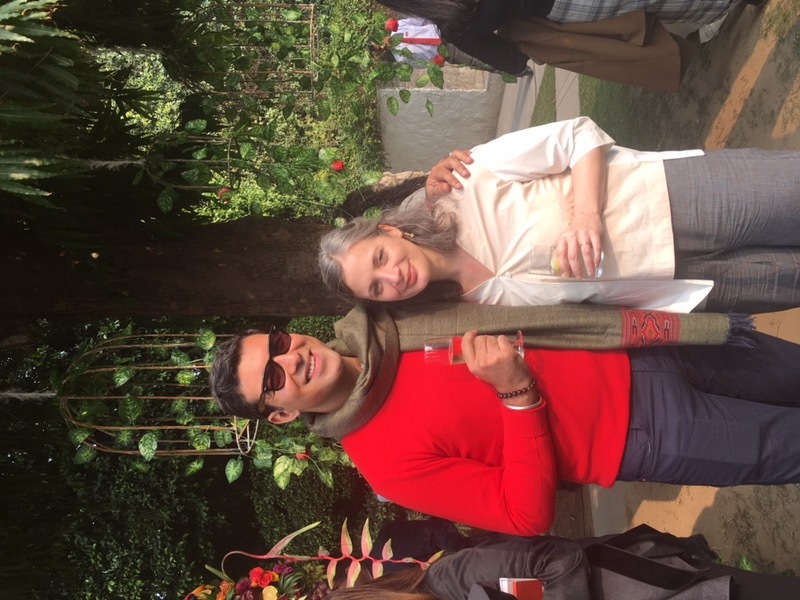 The fair drew to a close with a dance party—with excellent Punjabi music and an A. R. Rahman playlist—at the atelier of fashion brand Raw Mango, in a garden decorated with more than 650 pounds of rose petals. 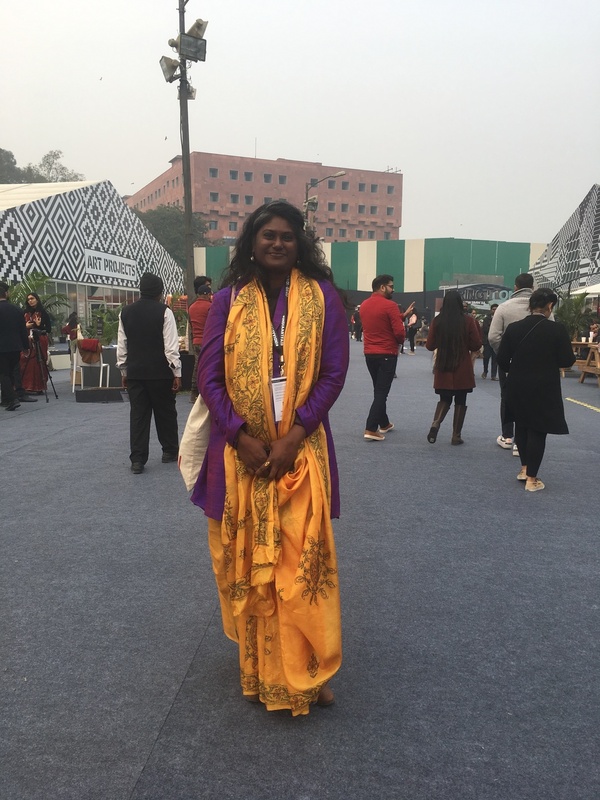 Their heady scent was a sweet respite from New Delhi’s worsening and unrelenting smog, which seeped into the art fair tents, washing out the colors and blurring the eyes. 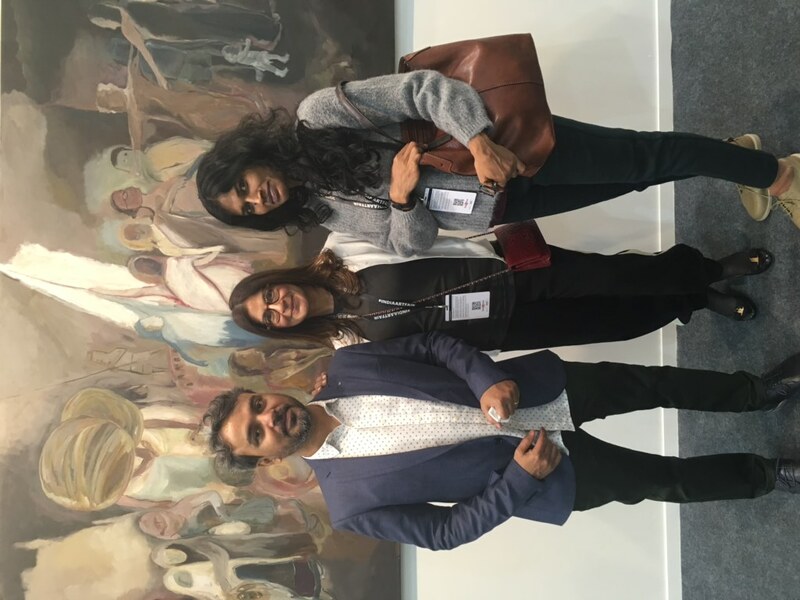 Artist Abir Karmakar with dealer Ranjana Steinruecke and artist Sosa Joseph. 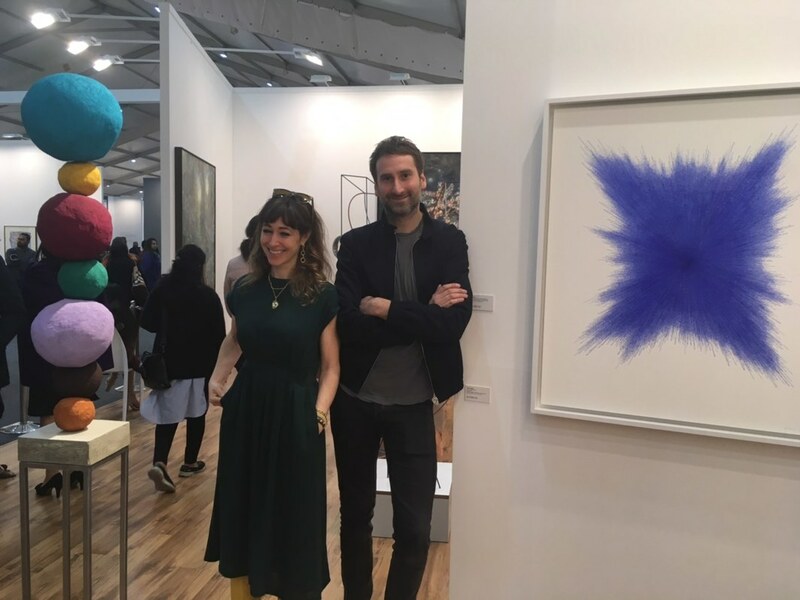 Artists Annie Morris and Idris Khan. 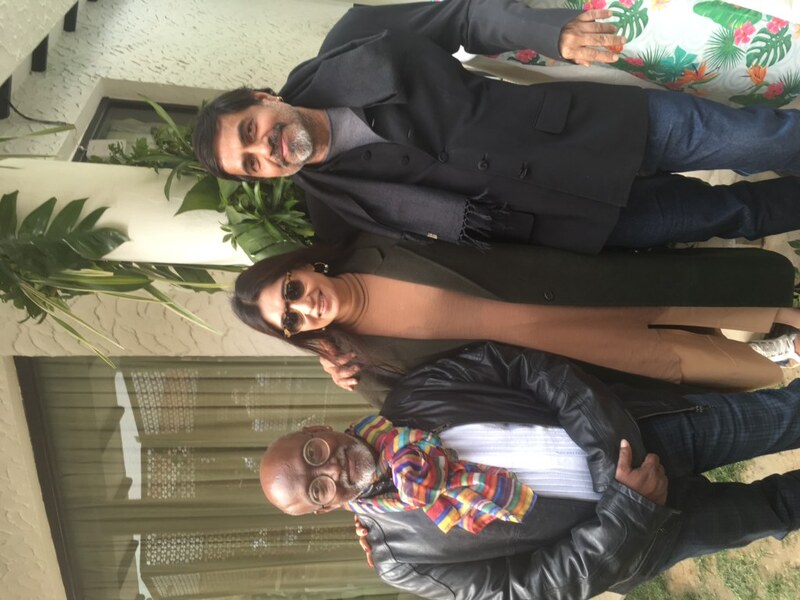 Artists Bose Krishnamachari, Dia Mehta Bhupal, and Sudarshan Shetty. 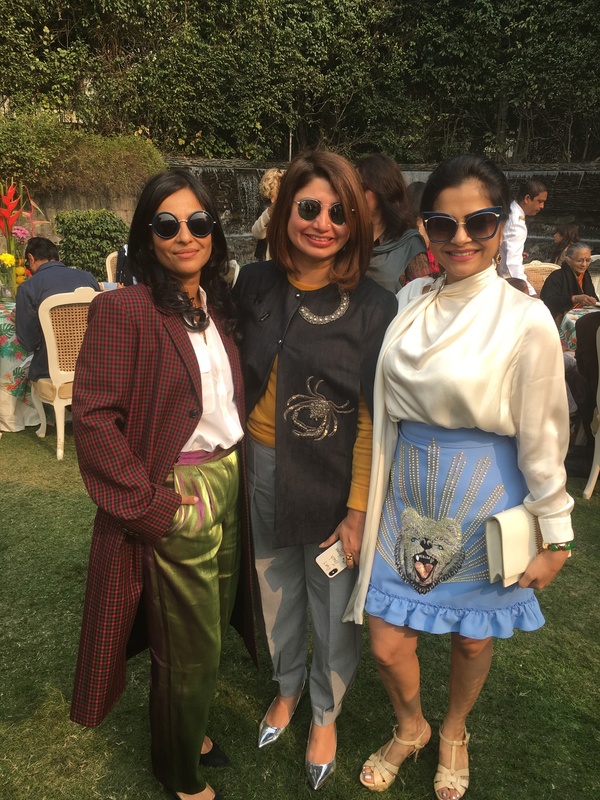 Curator Roobina Karode with artists Arpita Singh and Manisha Parekh. 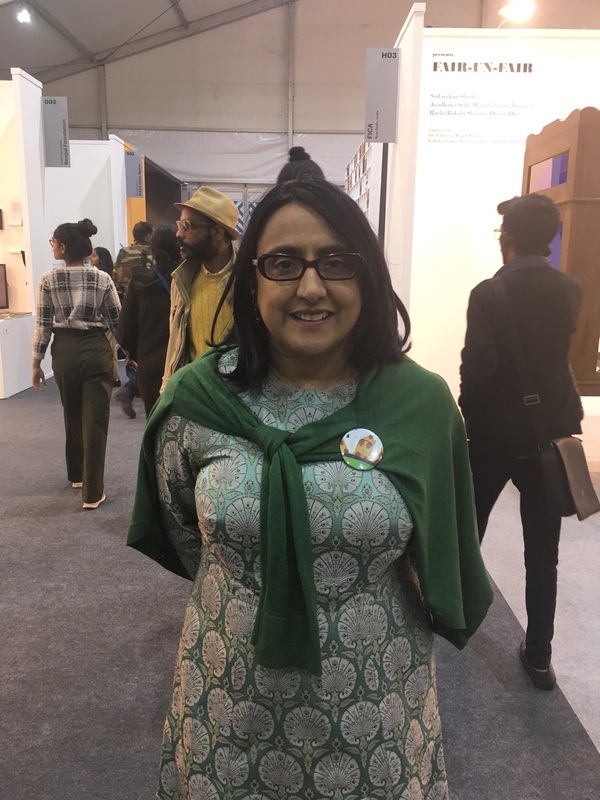 India Art Fair director Jagdip Jagpal. 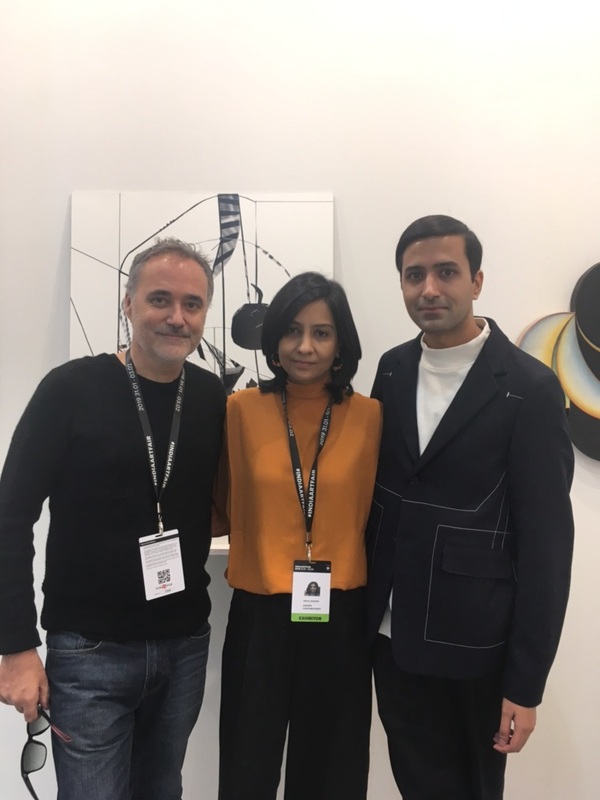 Artist Mark Prime with dealer Priya Jhaveri and curator Shanay Jhaveri. Dealers Parul and Roshni Vadhera. 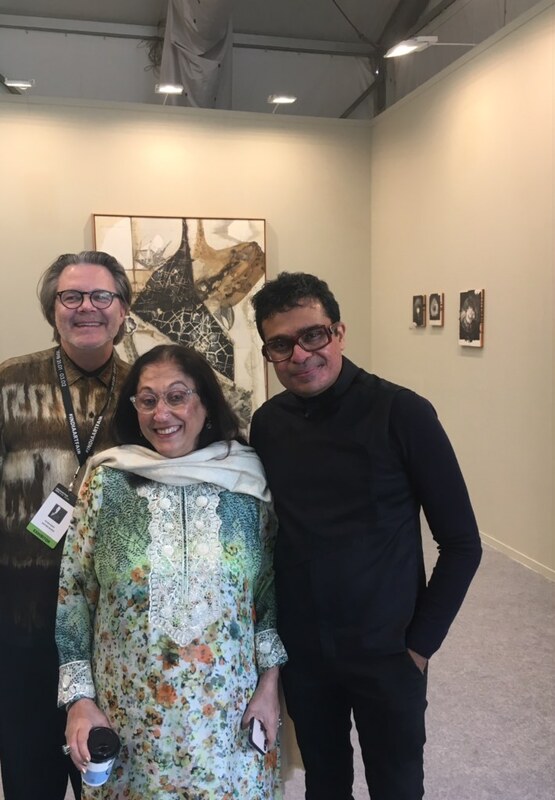 Dealer Peter Nagy with collector Kiran Nadar and artist Jitesh Kallat. 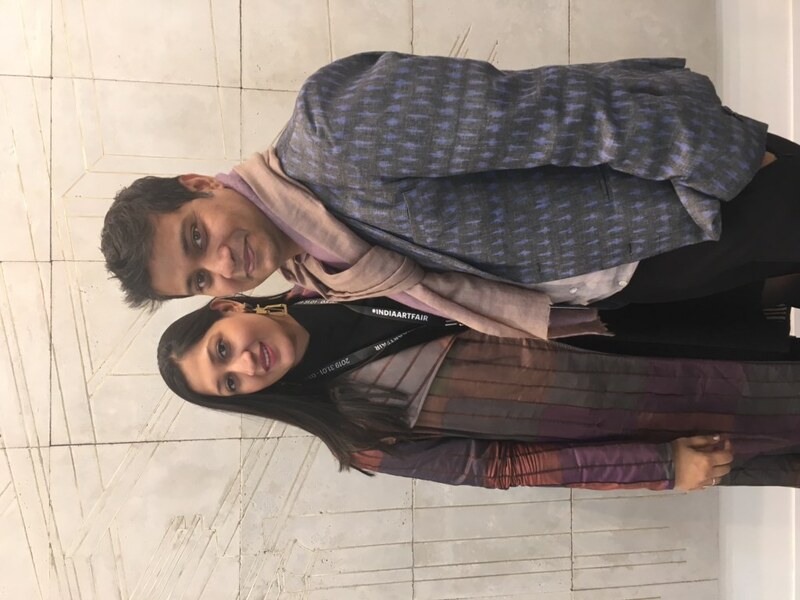 Priyanka and Prateek Raja of Experimenter Gallery. 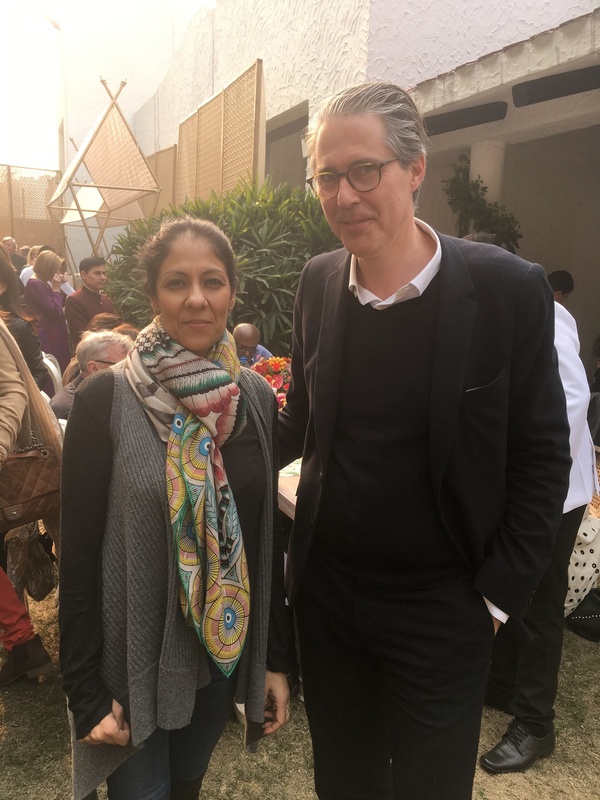 Radhika Chopra and gallerist Tim Neuger. Curators Rattananmol Singh Johal and Cara Manes. 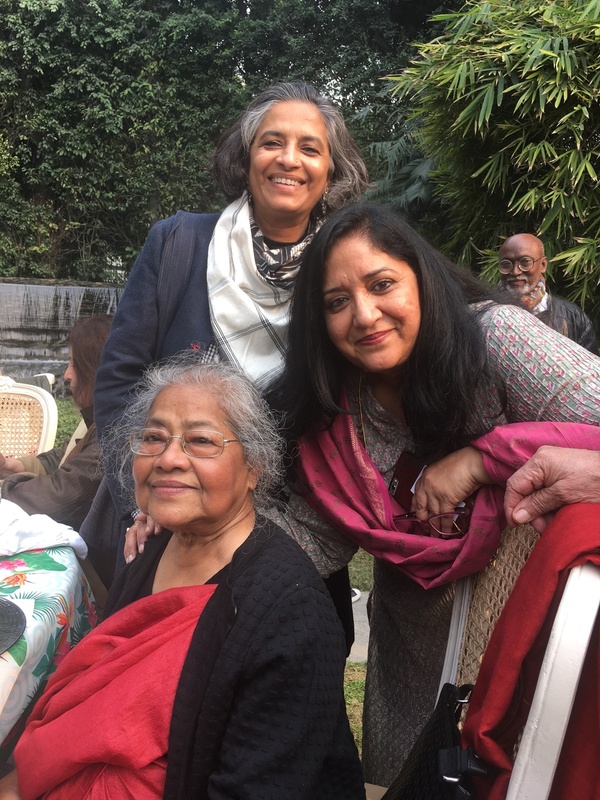 Dealer Sree Banerjee Goswami with Bhavna Khakhar and Nadia Samdani. 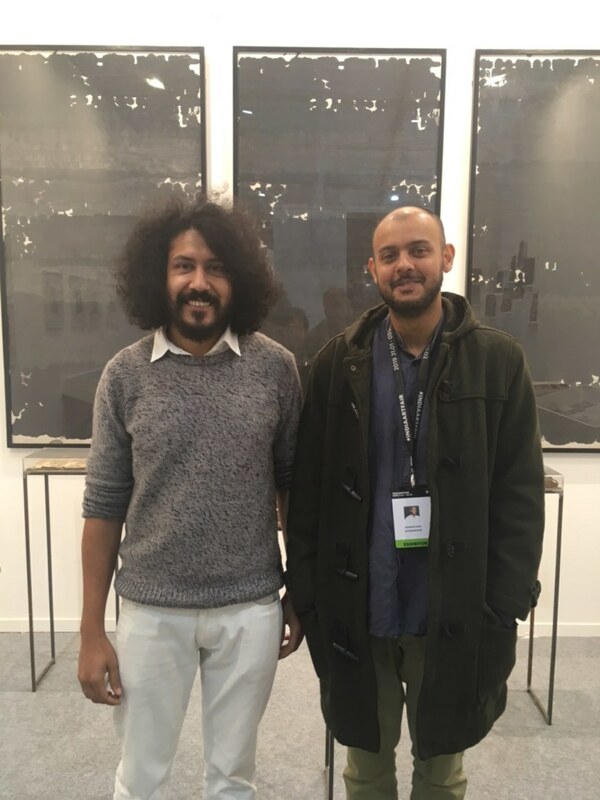 Curator Tanzim Wahab and artist Sohrab Hura. 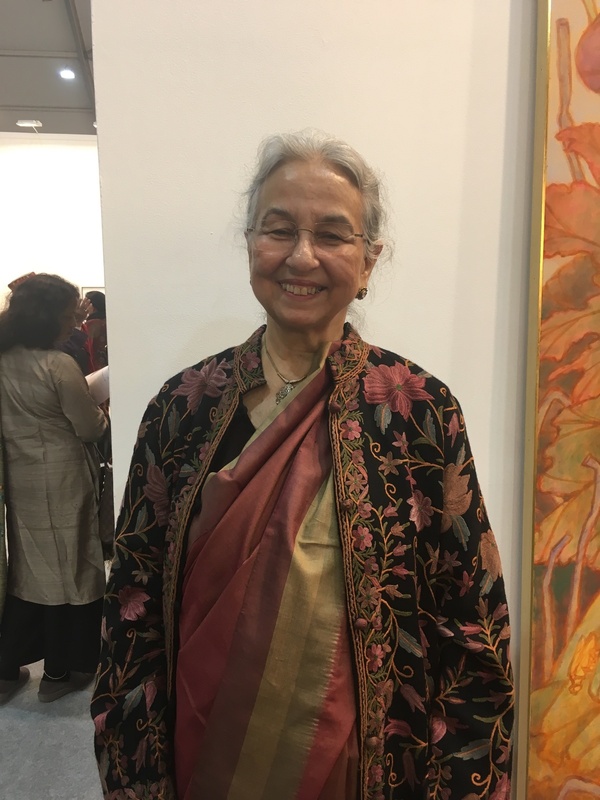 Art historian Tasneem Zakaria Mehta.